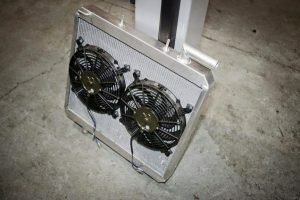 Custom aluminium radiator for Subaru conversion, under chassis mounted provides more than ample cooling for all non turbo Subaru/VW conversions. Currently awaiting trial on turbo engines. Priced at £400 we also supply mounting brackets should you need for £25 for a set of four.